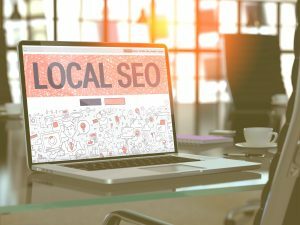 Why should local SEO solutions matter to your business? Out of all of the ways to market your business, more and more people are focusing on local search. 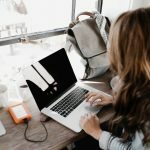 For the first few years of internet marketing, business owners and marketers were all about SEO. Then around 2009, the marketing topic was social media. Today, the big marketing topic is local search. There are a couple of simple reasons why it’s so important to your business. According to HubSpot, 76% of people who do a local search pick up the phone and call a business. 44% of clicks go to the top search result. The top three results get on average 75% of all of the clicks. Are you starting to understand how improving your local search results can mean more money in your pocket? Would you like to know how you can make that happen? Read on for 12 local SEO solutions you can use to improve your search rankings. How Does Your Site Look in Searches Now? If you have a goal to improve how your website appears in local search results, it helps to know how your site currently appears. This will help you track your progress as your search results change. The trick here is to understand that people in different locations will have different search results. Even if they’re in the same town or the same room. Google’s search results can vary depending on the device you use, your search history, your Google account and your IP address or location. With so many variables, how can you get an accurate picture of how your website appears? One workaround is to use a local search emulator. This will help you figure out how you appear according to location. A search emulator will allow you to change your location, so you can see how your site appears throughout your service area. Do you know how your customer thinks? In other words, how will your customer search for you? There are a number of questions you should ask yourself to answer this question. Is your customer at home or at work? Are they on a mobile device or on a desktop computer? Are they searching in the middle of the afternoon or late at night? What is the problem they want help with? What are 15-20 search terms/phrases they would use in Google to find you? Answering these questions will give you a better understanding as to what keywords you should try to rank higher for. You should also consider positioning yourself for long-tail keyword searches vs. broader searches. Think of it as the difference between searching for “fitness centers” and “fitness centers with a pool.” Fitness centers will have much greater competition, while fitness centers with a pool serve a genuine interest and will have less competition. Currently, when you search for local businesses, you’ll see the top 3 search results. It used to be 7. That’s why improving your ranking is more important than ever. Local SEO solutions such as filling out your MyBusiness listing can improve results. The process to claim your listing is straightforward. Click on the above link and fill out your information. There is a verification process. Google will send a postcard with a PIN number to your address. It does need to be a physical address. Once that part is complete, go into your account and fill out your profile. Make sure your description gives people a reason to contact you and be as specific as you can. Fill out your hours accurately, upload a few images and your company logo. While these local SEO solutions are important, it’s also important to remember that as crucial as it is to get people to visit your website, they need a reason to stay there. You can do this by creating value for your site visitors. The best way to create value is by creating content that will make people return to your site over and over again. That’s how you get people to like and trust you. The more relevant content you have the better. A recent study by Traffic Generation Caf? showed that websites that have 21-54 posts get 30% more traffic. Linking your website’s internal links together helps customers use your website, and add link juice between pages. Link juice is a way to let search engines know which pages on your site are the most important. One word of caution: When adding internal links, it may be tempting to add a bunch of internal links on all of your web pages. Don’t do it! By having a few internal links on each page, you maintain the quality of your links. Out of all of the local SEO solutions, one of the most talked about today is backlinks. A backlink is simply another website that links to your website. The trick to making backlinks work for local search is that you have to get QUALITY links. A shotgun approach to backlinks no longer works. We go over a couple of ways (directories and Google’s My Business listings) to get started throughout this article. You can also write guest articles for industry and local publications to get quality backlinks to your website. Knowing how and where your competition ranks in search results can help you understand where your potential customers may be going. You’ll also quickly learn what keywords your competition may be trying to rank for. Each competitor’s GoogleMyBusiness Listing. Pay attention to the text and images and look for keywords and locations they might be trying to rank for. Customer reviews – how many and are the reviews positive or negative. You can either do this on your own or use local SEO solutions like Crunchbase or SEM Rush. We can’t talk about your website without a little geek-speak. NAP is simply your name, address, and phone number. This cannot be stressed enough to make sure that these fields are accurate and consistent throughout your website and directory listings. Structured markup, also called Schema markup, is code that you have on your website that tells search engines how your site should appear in search results. This makes your search results more user-friendly. This resource from Kissmetrics tells you step-by-step how you can add structured markup data to your website. Not only can customer reviews influence rankings, they can also influence a customer’s decision to buy. Over 62% of buyers consider online reviews to be important or very important when finding a local business. You can ask your customers to leave reviews on Google and Facebook. Also, search for existing reviews and respond to them. You’ll show that you care about your business and your customers. Let’s say you were looking up a pest control service in Concord, North Carolina. So you search for pest control service reviews near concord nc. You find a company that you may not be familiar with, but you decide to call based on a number of positive reviews. One overlooked aspect of local search is to try to rank videos and images for keywords. This is probably one of the easiest local SEO solutions. Make sure the image is related to the webpage. The image file name should be changed from IMG_4323425 to something related to the keyword. The higher the image is on your page, the better chance it has to rank. Fill in the alt-text and description of the image. Preferably with your keywords, but don’t keyword stuff. This is one way to help you rank in local search results that your competition probably isn’t doing. Online directories are easy to miss as far as local SEO solutions go. You can help your local search results by making sure your business is listed in the main online search directories; such as Yelp, Citysearch, and MerchantCircle and YP.com. Does that mean that you should submit your website to every directory? Absolutely not. Remember the earlier discussion regarding backlinks: Quantity does not mean quality. When you list your site, pick the main directories above and include BingPlaces. If you’re a member of business organization or chamber of commerce, take advantage of your membership and make sure you’re listed in their business directory. It’s very important to make sure that your listings are accurate and consistent. If you have listings all over the place with old addresses or phone numbers, you’re diluting the potential impact of your search results. Social media influencers tend to agree that social media remains one of the top local SEO solutions. It’s still debatable whether social media has a direct impact on search results, but social media does help in other ways. Social media networks are great for backlinks. They also have the potential to create conversation around your company. This sends social signals to Google’s algorithm. The more positive the social signal, the more likely you’ll rank higher. As you can see, there are at least a dozen ways you can improve your local search results. If you make these suggested changes, you should start to see your search results improve. You might be ready to hand some of those tasks off to someone else. At ArticleCity, our goal is to help you get your content seen so your website can appear in search results. Sign up for your free account today for the latest marketing and local SEO solutions.